3.62Mileage based on signpost at chainage 190+89 per Property Plan No. 507; mileage 3.61 is given in some Toronto Terminals timeables. 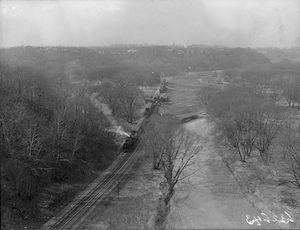 Siding at Rosedale extends from point 2,140 feet North of Rosedale station to point 5,943 feet South of Rosedale station. All southward trains having meets at Rosedale, mileage 3.61, which cannot be pulled entirely clear of Winchester St. public crossing at grade, mileage 2.81, must stop at signal no. 30, mileage 2.90, and not proceed until it is known entire train can be pulled over Winchester St. public crossing at grade. 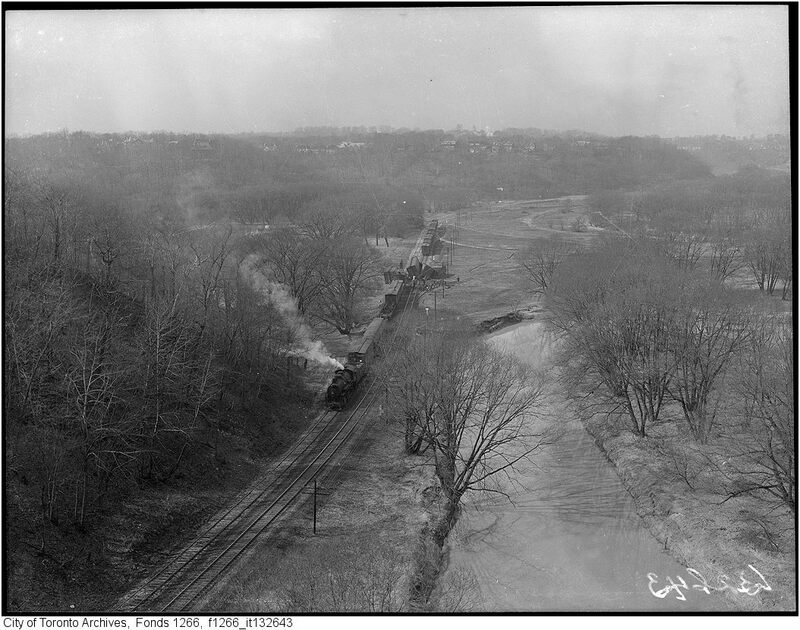 Looking north towards Rosedale wye, the scene of a derailment 50-car freight rips rail line, wrecks 20 autos, The Globe and Mail (Toronto), March 25, 1949, pg. 11, col. 5 . Looking west from Rosedale wye tail track. 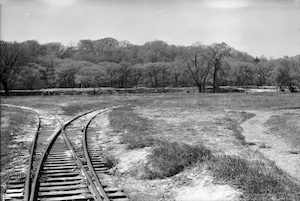 Straight-line track plan showing Rosedale (ca. Jan 1948). Straight-line track plan showing south end of Rosedale siding; formerly Gerrard Street Switch (ca. Jan 1948).